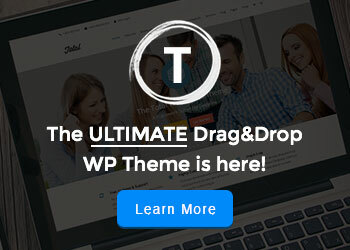 In this post, we are going to share with you a collection of High-quality Concrete5 themes. You can use them for improving your web design projects – at a very low cost. Some of the themes are even free. Concrete5 is among the easiest manageable CMS platforms available today. The learning curve in mastering Concrete5 is comparably short and you can easily switch themes without rebuilding the entire website. In fact if you can type in Word, you are qualified for Concrete5. This makes Concrete5 perfect for web designers that want to teach clients the basics about running their new website without frustrations. Concrete5 themes come packed full of features. These include custom frameworks, awesome sliders and clean coding. 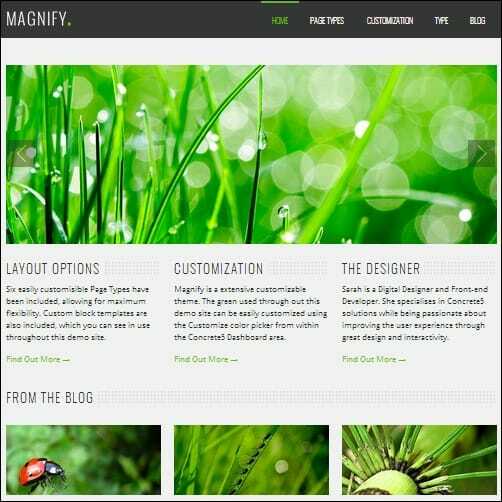 They are full of custom page types such as widget sidebar page and blog entry page. 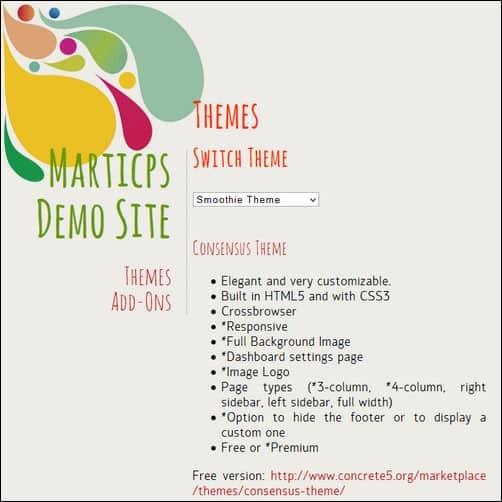 Concrete5 themes are also compatible with mobile devices and have excellent cross browser compatibility. 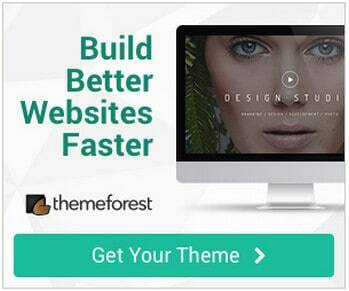 Below you will find a list of great Concrete5 themes to get you started. Please share your thoughts on this collection with us through the comment section below. 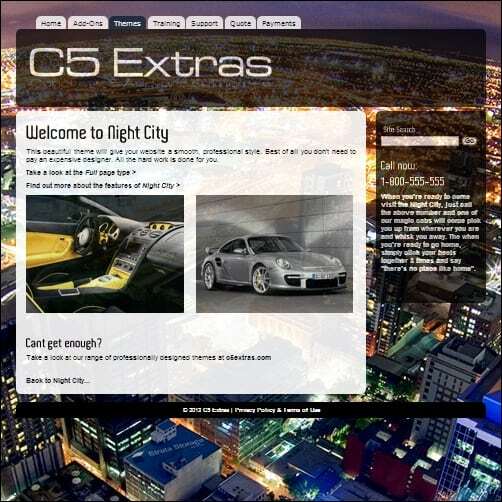 Do you have a favorite Concrete5 theme? Did you find a perfect match in this post? Please join the conversation! Also, If your friends will benefit from these Concrete5 themes, you should remember to share this post with them. 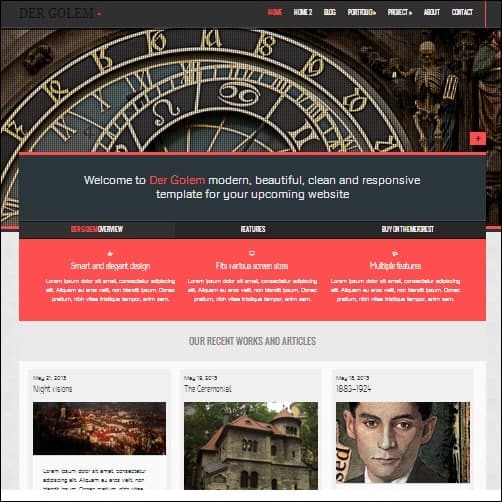 This theme is modern, clean and designed with 3 theme colors. 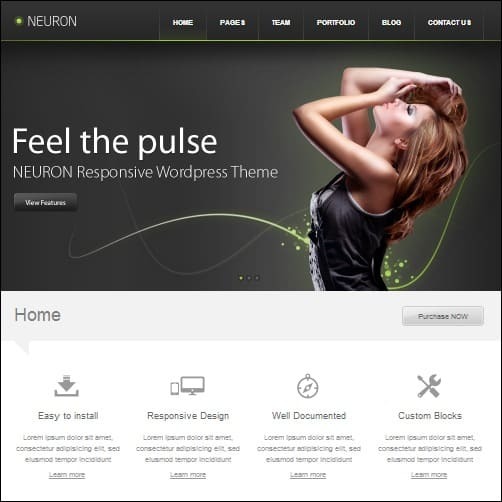 Neuron is a perfect choice if you are designing a website that will stand out from the crowd. 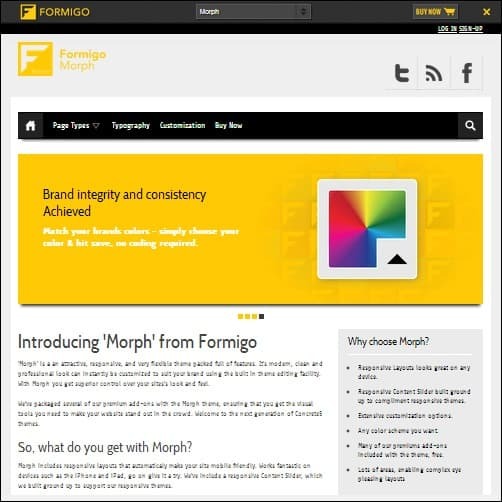 This is a theme that is very flexible, clean and with fully responsive design. It provides the beauty that cannot be seen with present Concrete5 themes. 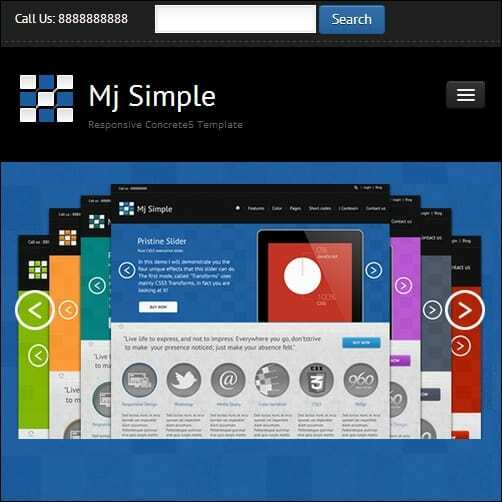 This is a multipurpose Concrete5 theme that is also responsive. 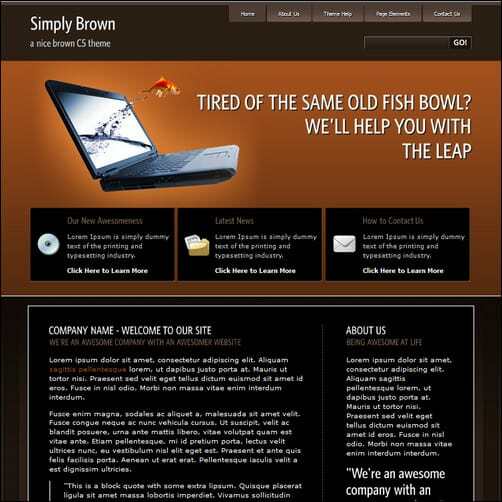 It was designed with plenty of features that is perfect for portfolio, corporate and creative websites. A simple, basic theme for creating one-page scrolling websites and presentations. Every block you add to the page will automatically become a new slide. This simple Concrete5 theme has a responsive design. 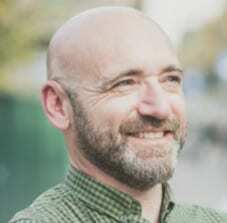 Thus, it will look stunning not just in desktops but also in tablets and mobiles. This is a nice liquid customizable concrete5 theme. 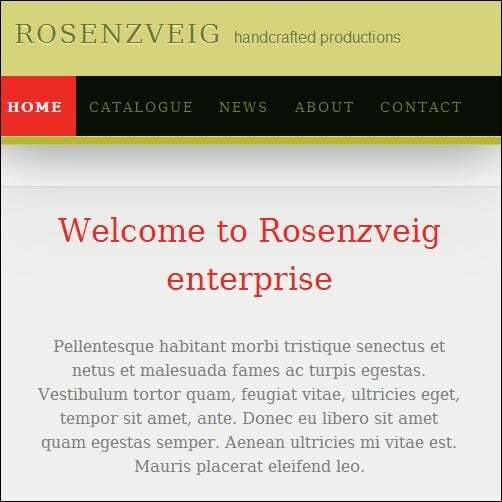 It is modern, fresh and clean, Cross-browser compatible, build with HTML5 and CSS3. 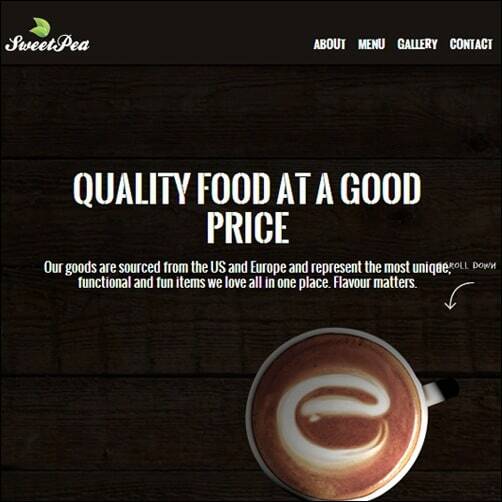 This HTML5 theme is minimal, clean, responsive and mobile friendly. 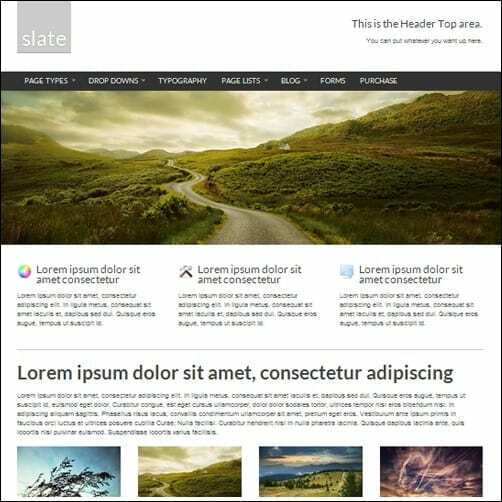 Slate has a rich variety of features that include 16 different page layouts/types, 4 different skins/styles, 4 custom page list templates and drop down navigation. 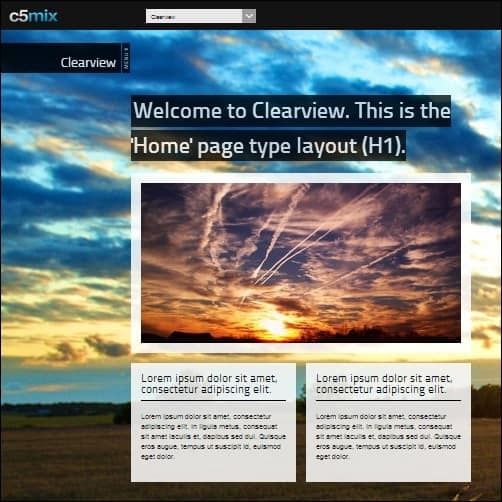 This Concrete5 theme is a responsive design that has a Twitter Bootstrap foundation. It has been designed to provide the best experience no matter what device it is viewed. This a elegant theme that is quite customizable. 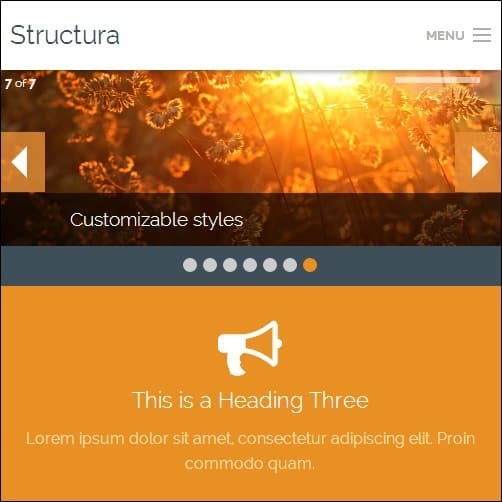 It’s build with HTML5 structure and CSS3 features, Cross-browser compatible and validated following W3C standards. 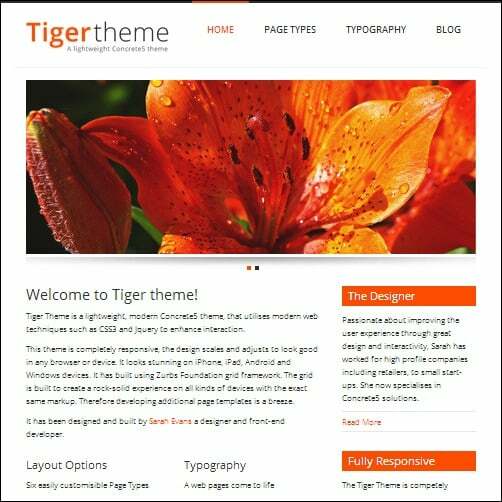 Tiger theme is entirely responsive. Its design adjusts and scales to look stunning in any screen size. 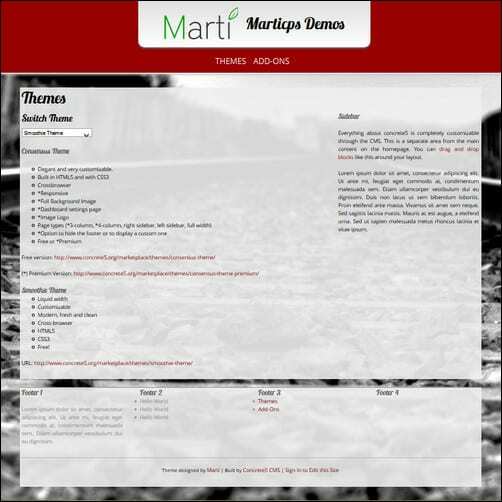 This theme has been design using the Zurbs Foundation grid framework. 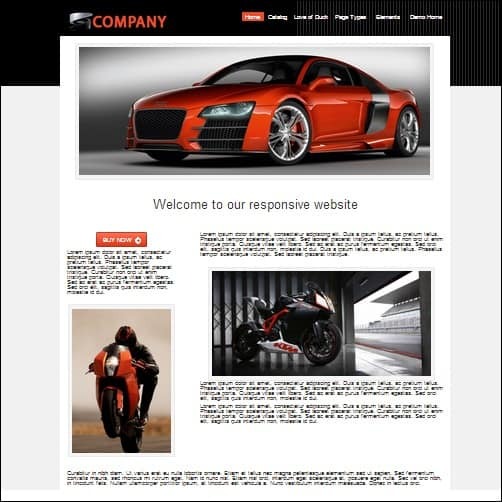 This pretty theme is responsive and build with HTML5. It has a Styled drop down navigation and 3 blocks come with the package. 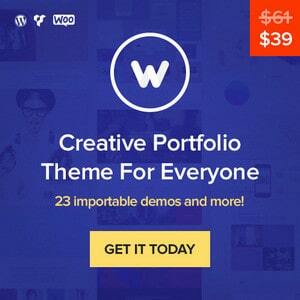 This theme is ideal for design agency, business and freelance websites. 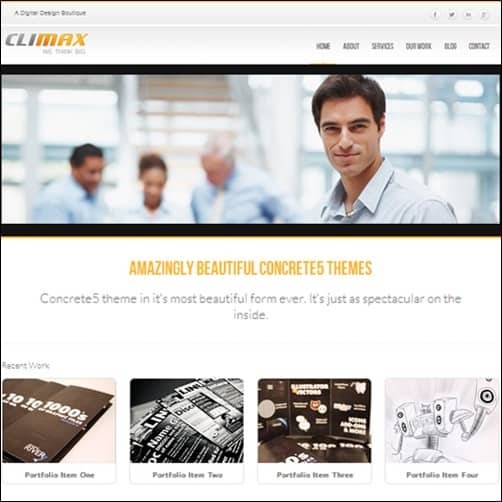 Climax is rich in features that include left/right sidebar page and homepage. 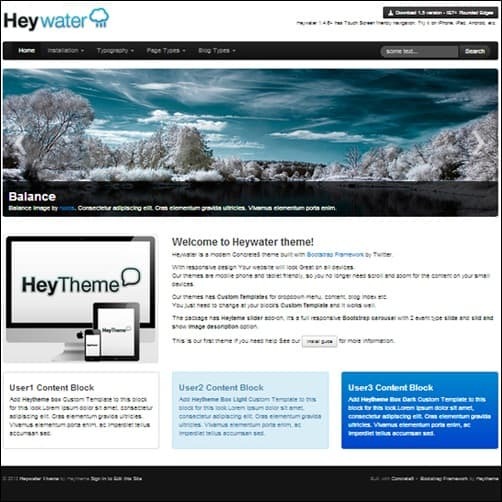 This theme is the perfect option if you have a multi-use website. It has a stylish typography and subtle styling that will contribute to an elegant representation of both you and your business. 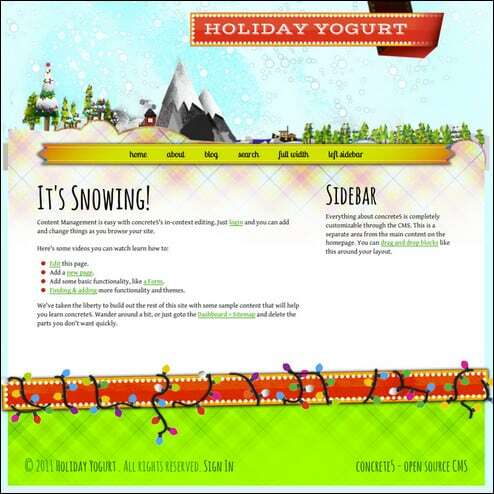 This theme called Holiday Yogurt will help you bring a fun, festive look to your website! This Concreter5 theme is an all-purpose design. It could be the perfect choice for galleries, small businesses and sites that are showcasing products. Spacelab is a white professional and clean business theme created for Concrete5. 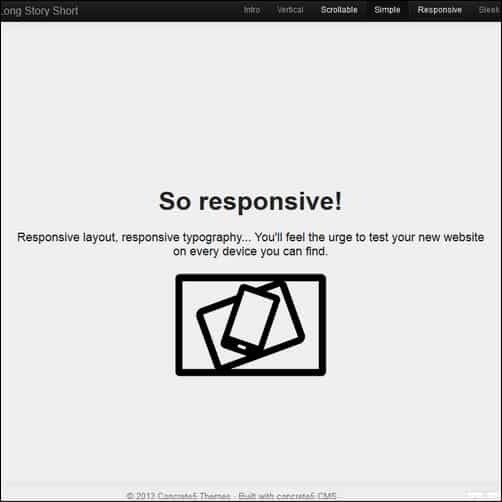 Its design is based on the responsive Bootstrap Framework. 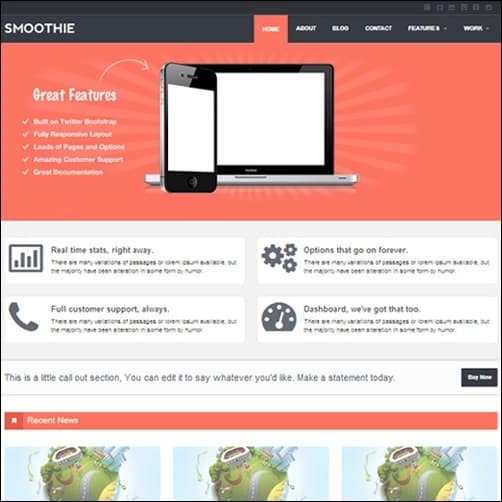 The theme comes with ecommerce support. This multipurpose theme was designed especially for Concrete5. It has homepage variations, project page, portfolio page and can be used with our without blog. 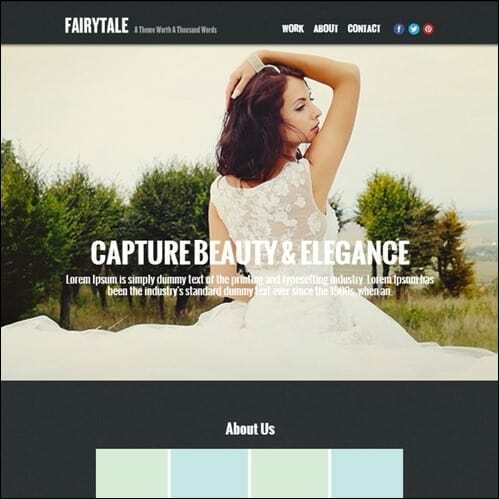 This pro responsive theme has 8 page types and 8 auto nav templates, which include a pricing tablet page that is also responsive. Comes with ecommerce support. This professional Concrete5 theme is highly flexible. You can customize it easily to fit whatever your needs may be. This is a clean and very open theme designed for Concrete5. It comes with overlaying content, slide out navigation menu and large background image. 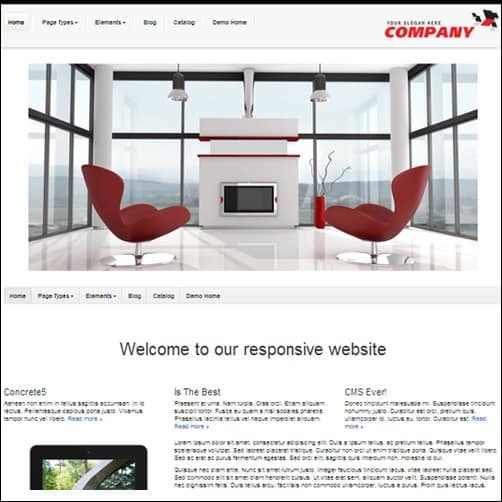 This is a responsive theme that was designed for business and built on CSS3 framework. It is a perfect option for anybody that needs an online site for business and other presentational purposes. 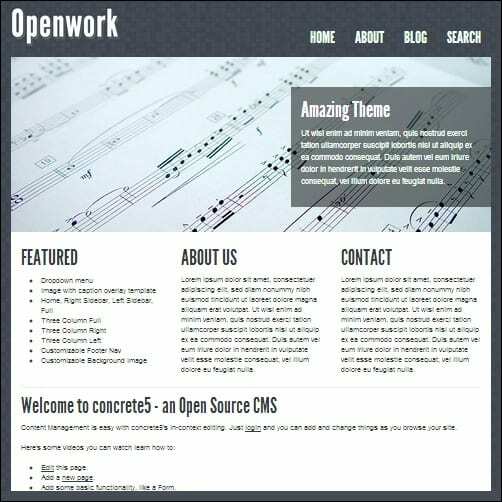 This is a modern theme for Concrete5 that was designed with Twitter Bootstrap Framework. It comes with a responsive design that makes it look great on any device. 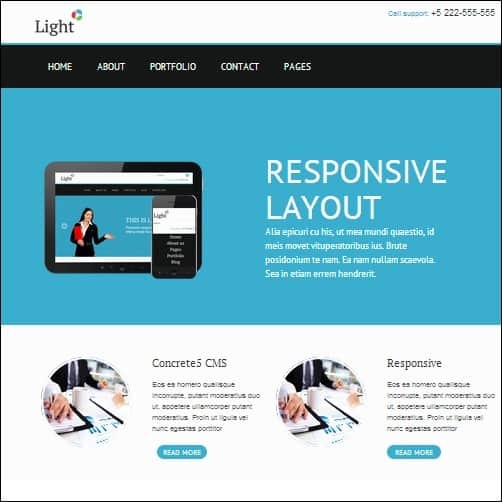 This responsive theme is ideal for a wide variety of applications, from personal portfolios to corporate websites. It comes with customized options that can be found in the Concrete5 dashboard. 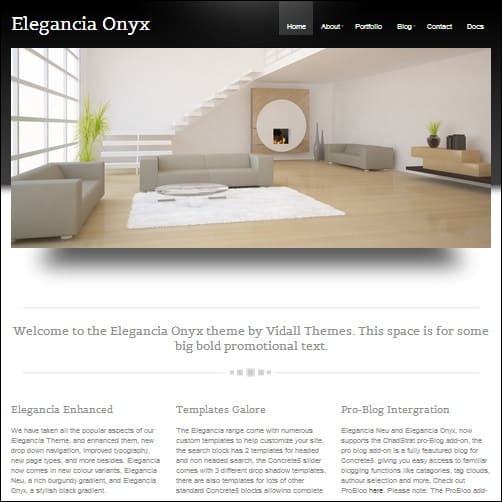 This theme is responsive, attractive and very flexible. Its professional, clean and modern look was combined with a wide variety of features. That can be customized quickly to suit your needs. This theme is both powerful and elegant. It also comes with a site template standalone version. This dark professional theme is smooth and comes with rounded corners, drop down navigation and optional sidebar.